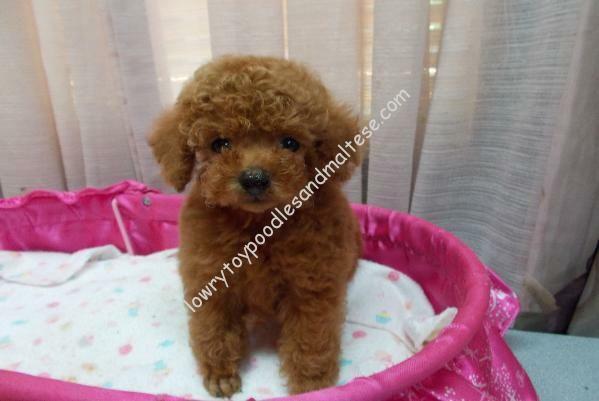 Lowry Toy Poodles is an experienced and reputable breeder of color bred red and color bred white Toy and Teacup Poodles. 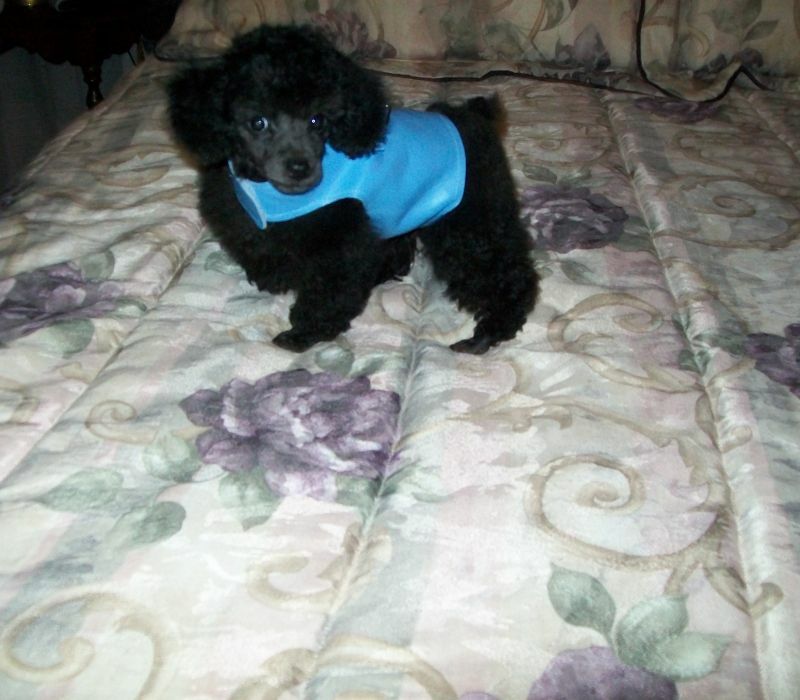 From the time our poodles are born to the time they depart for their new home, we treat them as an extension of our family and provide them with the love and care they need to flourish as a pet. 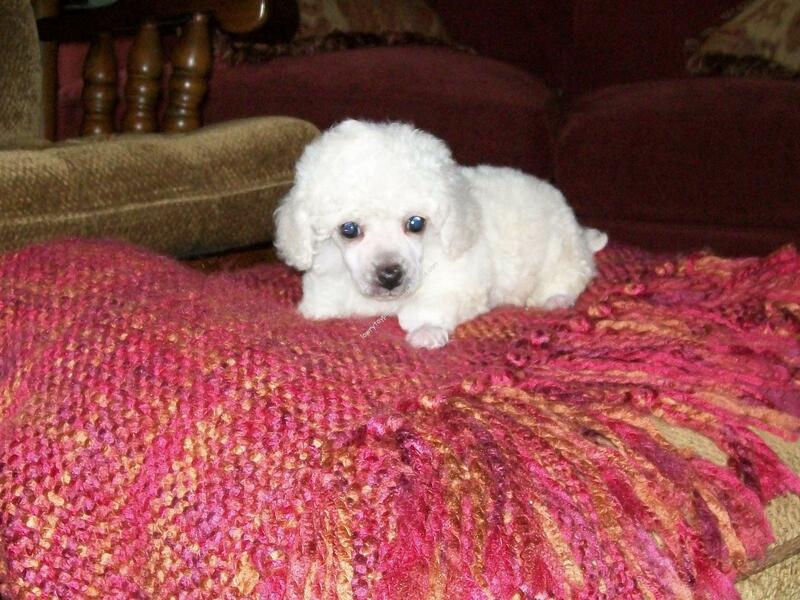 In order to produce the best results, we spend a great deal of time studying pedigrees to ensure we breed puppies with sweet temperaments and loving personalities. 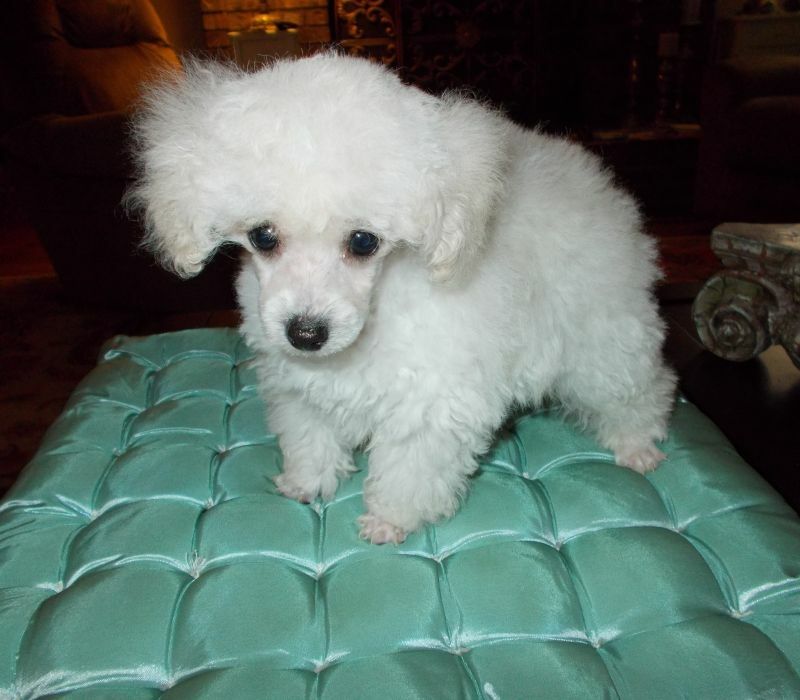 A Teacup Poodle is a very small Poodle weighing between 2 lbs and 5 lbs and 9 inches or under at the highest point of the shoulders when it’s full-grown. 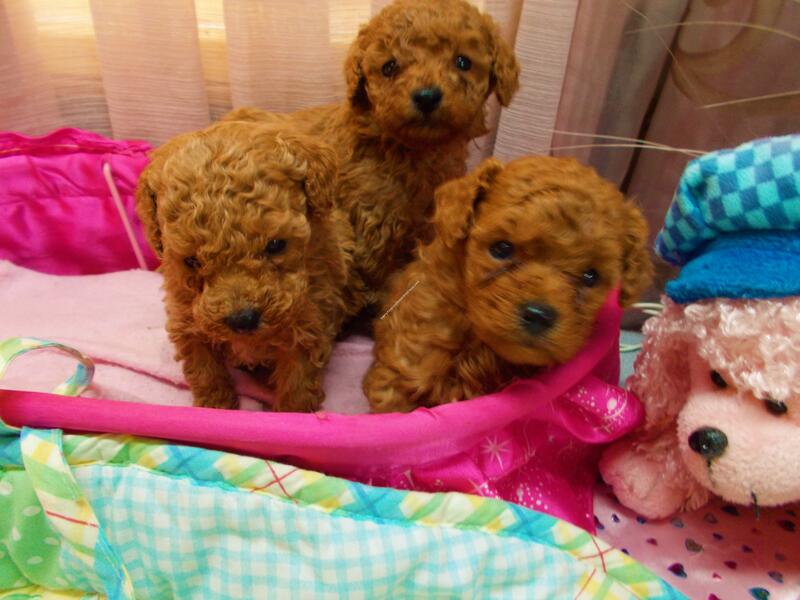 Newborn puppies weigh between 2 1/2 to 4 1/2 ounces depending on how many are in the litter. 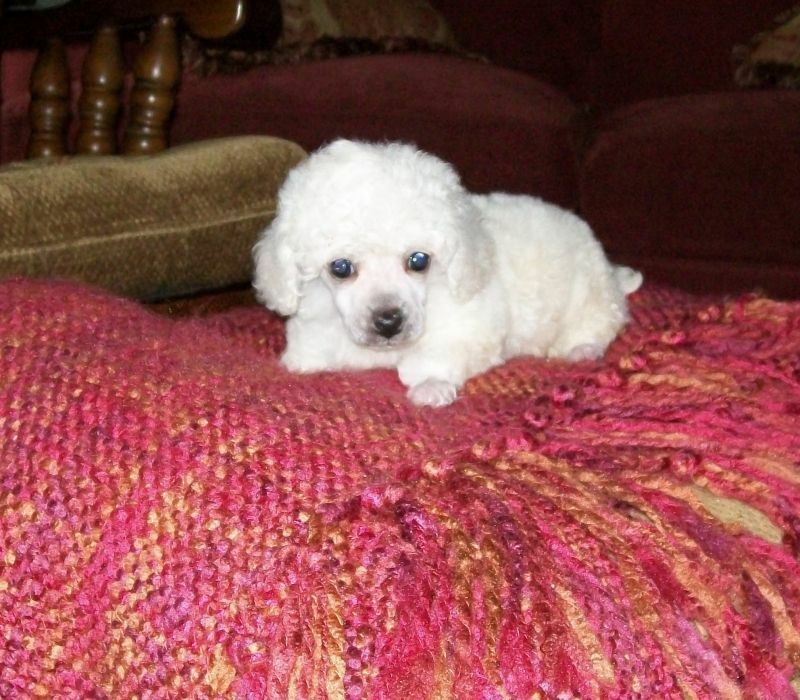 Generally, if they only whelp 1 puppy it will be bigger, but many factors determine what size they will actually be. 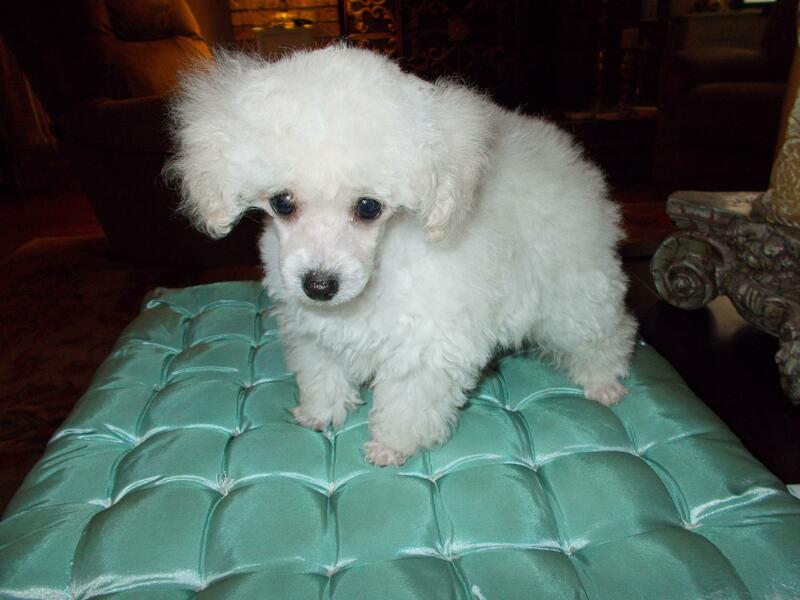 From our experience, most of our Teacup Poodles average life expectancy is between 11 to 14 years. 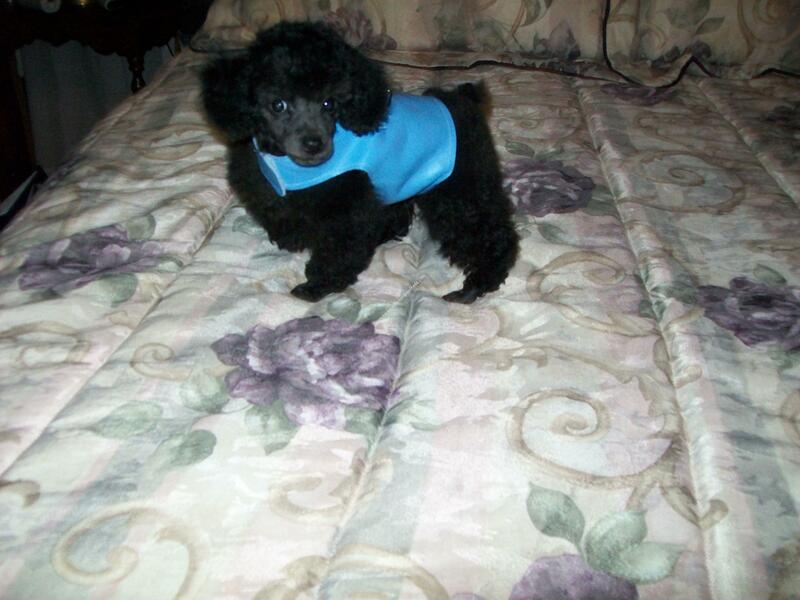 They are very lively and love to play and they draw attention by their size and playfulness. Also, they make a great lap dog especially for the elderly. 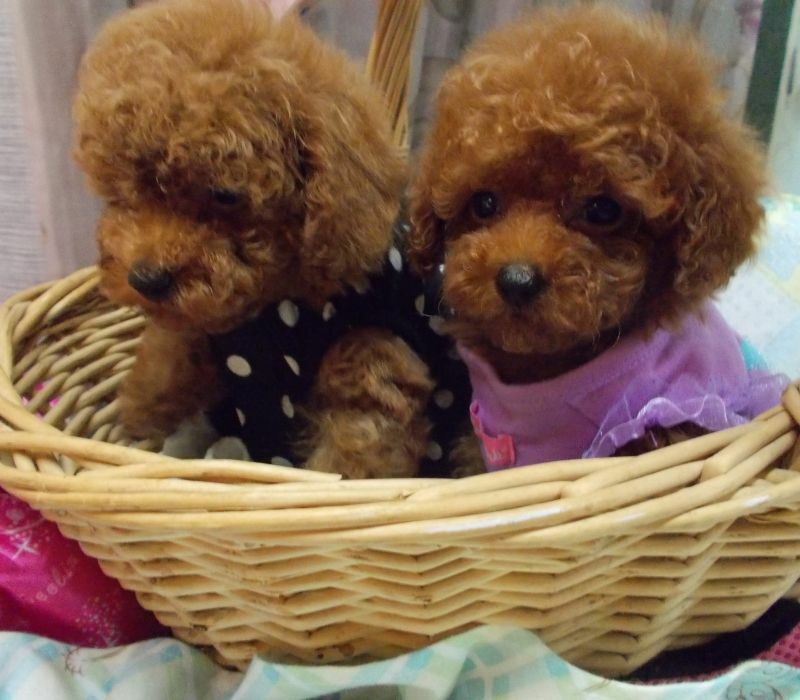 The word Teacup is a name used by some breeders to describe a very small dog of any breed. 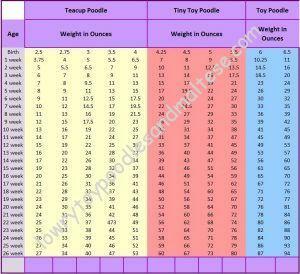 It is used to describe a certain size dog such as the name Toy, Miniature, or Standard describes a certain size dog. 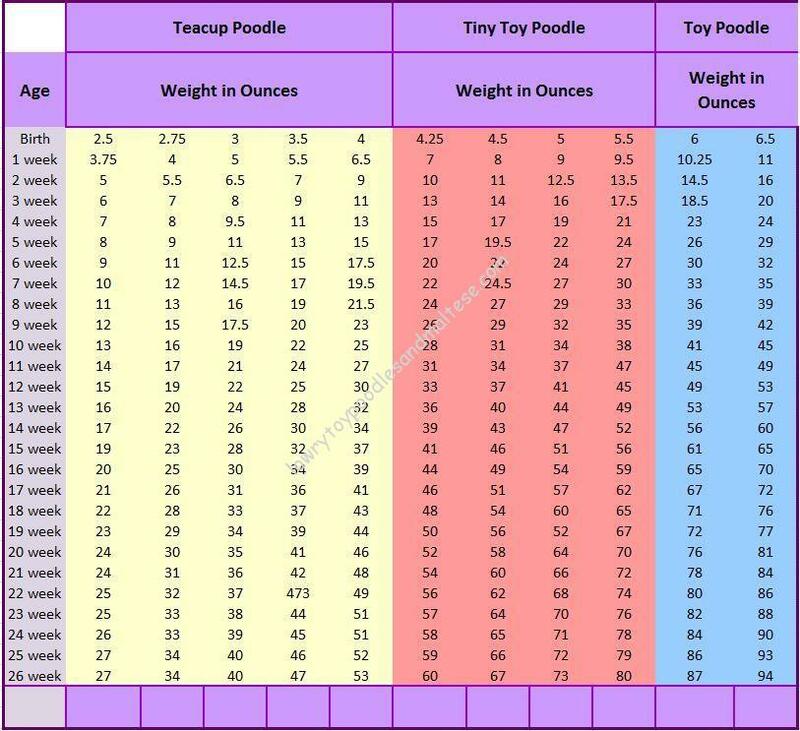 Teacup is not a word used by the American Kennel Club; therefore, a very small Poodle is registered as a Toy Poodle because it is 10 inches or under the height at the highest point of the shoulders. This is the standard of a ToyPoodle as describe by the American Kennel Club. 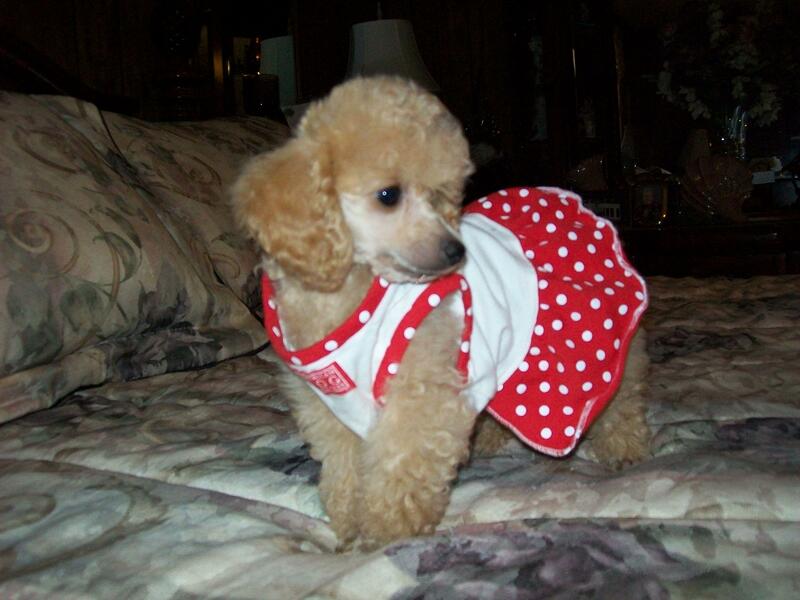 For more information on the standard for showing Toy Poodles see at American Kennel Club. 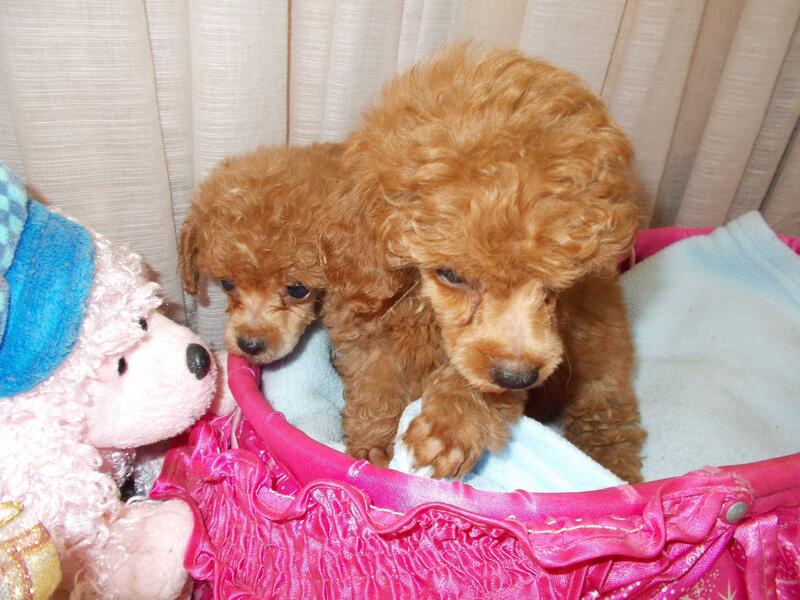 Here at Lowry toy Poodles we use the term Teacup, All Teacup Poodles are registered as “Toy Poodles”. 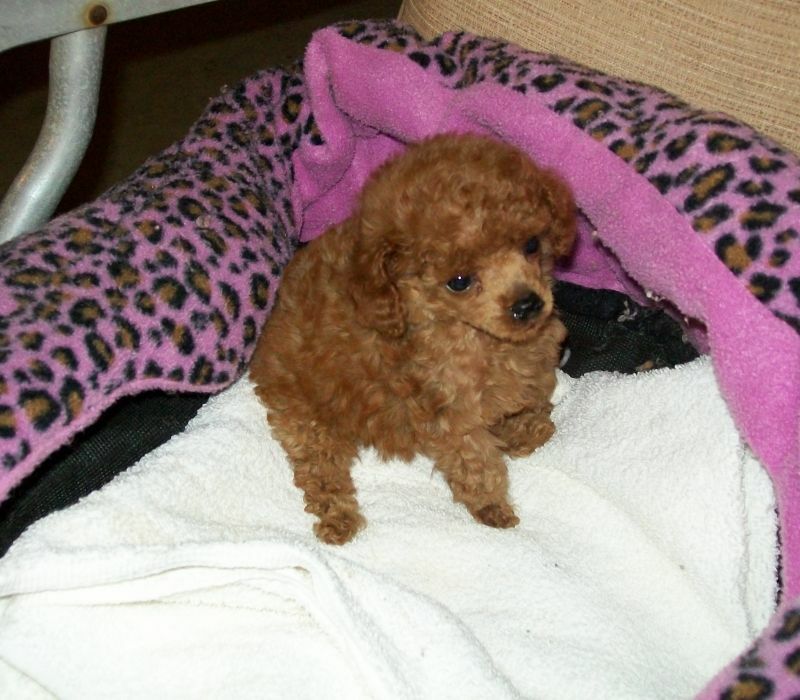 It is, in reality, a Toy Poodle, but is smaller in size than the AKC Toy Poodle standard. Breeders are purposely breeding them accordingly. Teacups are common in the States. They tend to be 9 inches or smaller, and under 6 pounds in weight. 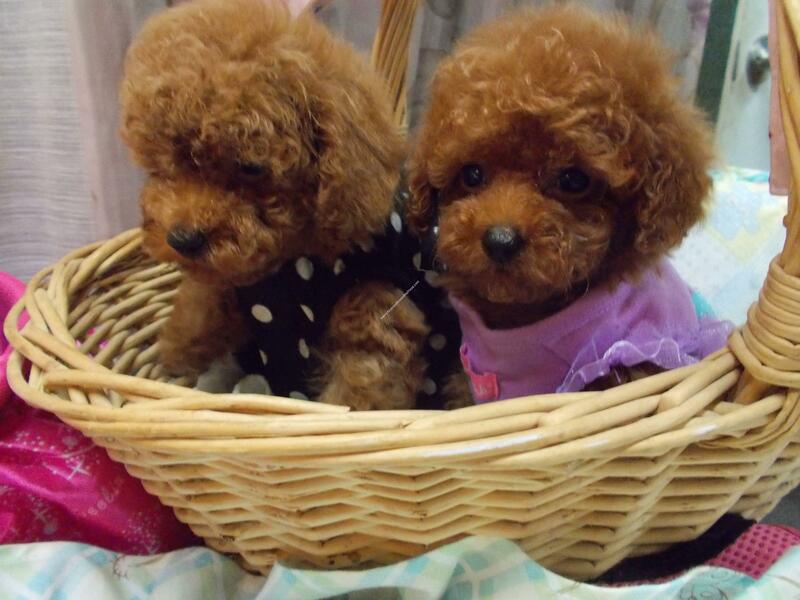 The Teacup Poodle is just a name given to very small Poodles by breeders, and therefore, there is no universal standard for those who are breeding them. 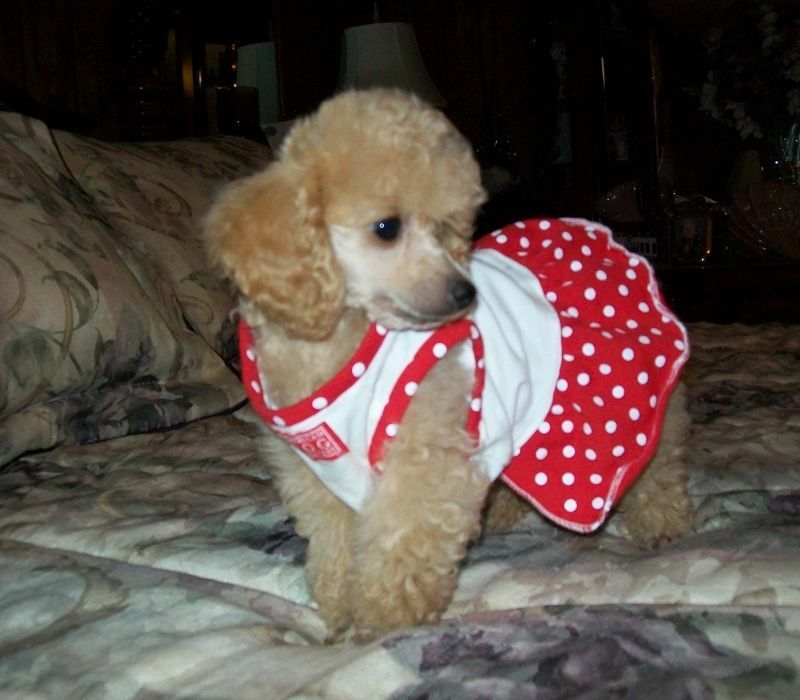 Some breeders of Poodles claim there is no such thing as a Teacup. Have you ever wondered about these breeders? 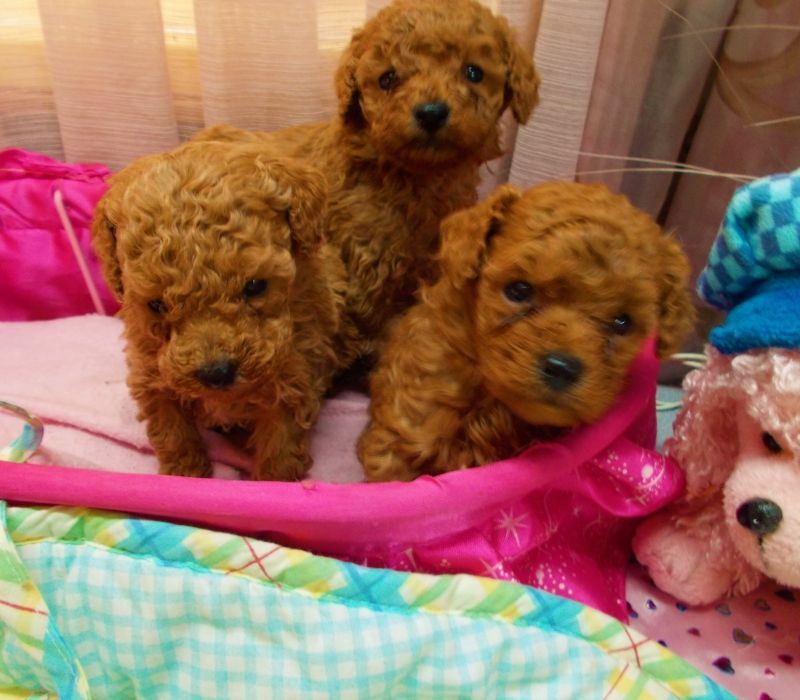 If they are a breeder, they are going to have a Poodle that turns out to be less than 6 pounds, which is considered by some to be the minimum weight of a Toy Poodle. What do they end up calling them? 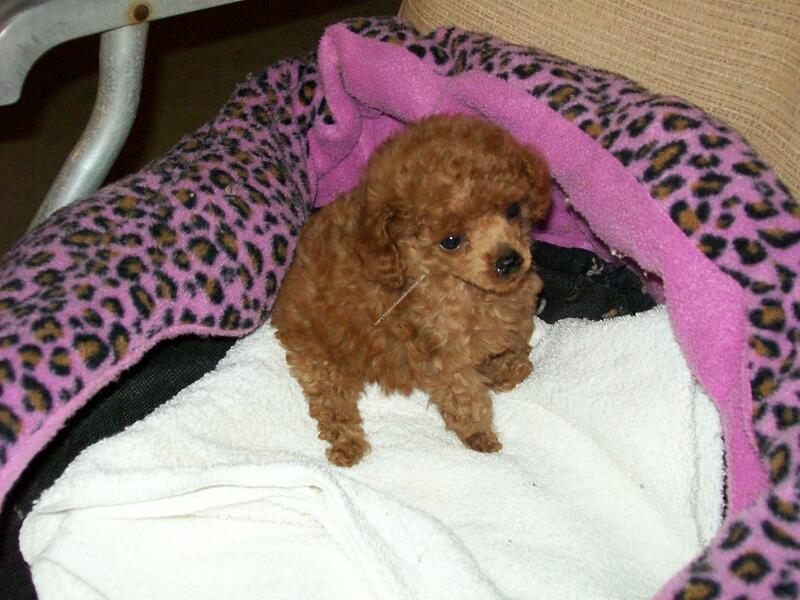 A small Toy Poodle! 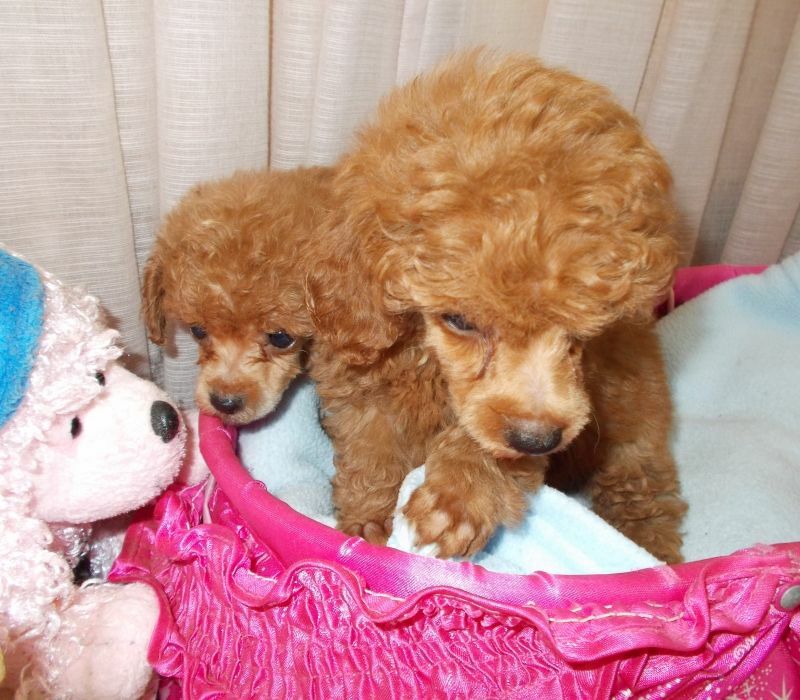 Thank goodness someone bred small Miniatures to create the Toy Poodle we now have and love!